V-Dog is the leading vegan dog food available on the market. I personally would only use vegan dog food for dogs prone with meat-based allergies, or by mixing it into a diet already containing meat-based proteins. Nutrient analysis comes in about average, although fats are a bit low. The popularity of vegan and vegetarian dog food is on the rise in recent years, and at the forefront of the market stands V-Dog. Plant-based diets can be very sustainable and good for the environment overall; however, it’s important to remember that dogs have a naturally carnivorous diet. With that said, we do not recommend that everyone starts switching their dog’s diets to vegan without careful consideration and knowledge. 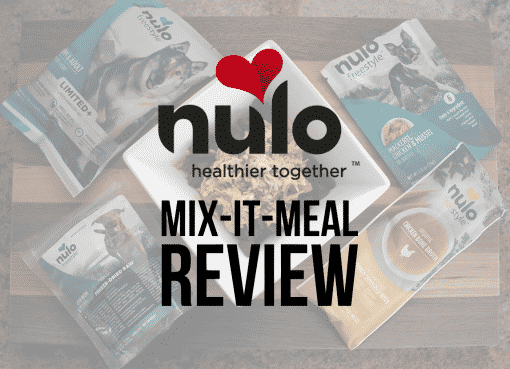 Switching dog food recipes should be gradual – let alone switching from meat to meatless – to minimize discomfort and to ensure your dog will flourish on the new food. There have been many counts of dogs that were prone to meat allergies thriving on V-Dog. Sometimes if a dog has an allergy to beef and poultry, finding dog foods at your local shop can be tough. In some dogs with very sensitive allergies, even purchasing an alternative meat (such as salmon) can show symptoms due to the manufacturing facility containing other recipes with beef or poultry. In these cases, we absolutely love V-Dog as a healthy and sustainable option for your pup. Here’s a closer look at what’s inside V-Dog Kinder Kibble Vegan Adult. Full Ingredients: Dried Peas, Pea Protein, Brown Rice, Oatmeal, Potato Protein, Sorghum, Canola Oil (Preserved with Mixed Tocopherols) , Natural Flavor, Suncured Alfalfa Meal, Brewers Dried Yeast, Dicalcium Phosphate, Flaxseeds, Millet, Calcium Carbonate, Lentils, Peanut Hearts, Quinoa, Sunflower Chips, Salt, Potassium Chloride, Choline Chloride, Taurine, Dried Carrots, Minerals (Ferrous Sulfate, Zinc Sulfate, Copper Sulfate, Sodium Selenite, Manganese Sulfate, Calcium Iodate), DI-methionine, Dried Parsley, Vitamins (Vitamin E Supplement, Vitamin A Supplement,Niacin Supplement, D-calcium Pantothenate, Riboflavin Supplement, Vitamin D2 Supplement, Thiamine Mononitrate, Vitamin B12 Supplement, Pyridoxine Hyrdochloride, Biotin, Folic Acid), L-Ascorbyl-2-Polyphosphate (A Source Of Vitamin C),Preserved with Citric Acid, Preserved with Mixed Tocopherols, Dried Blueberries, Dried Cranberries, Dried Celery, Yucca Schidigera Extract, Dried Lettuce, L-Carnitine, Dried Watercress, Dried Spinach,Rosemary Extract. Peas and pea protein are a great source of carbohydrates, fiber, and protein for your dog. Peas are a very popular ingredient in dog foods today, especially with many dog foods going grain-free. Peas can sometimes be used as a cheap way to increase the protein percentages in a dog food; however, with V-Dog not containing any meats, it’s simply a great healthy vegetable option. Brewers yeast is one ingredient you do not come across quite as often in dog foods. While not inherently a bad ingredient (in fact, it contains a lot of great minerals and nutrients), yeast may be linked to certain allergies. Overall, V-Dog receives an average level of protein through a variety of vegetables, most notably peas and potatoes. 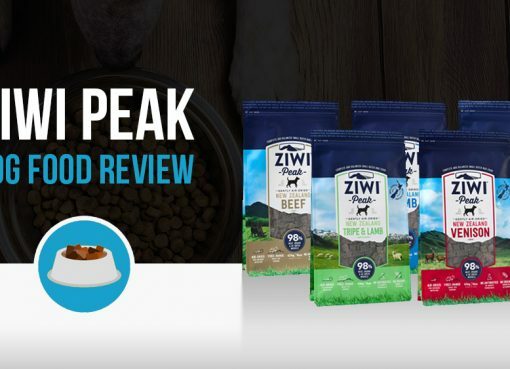 The interesting piece is that in some premium meat-based kibbles, pea and potato proteins are used as cheaper fillers for protein; meanwhile, V-Dog uses them as the main ingredient but still has a high price. The other area I’d like to touch upon if the feeding guidelines, in particular the kcal/cup. I currently feed my dog Sasha about 2 ½ cups of Fromm Four Star per day (meat-based premium kibble). On V-Dog, I would nearly have to double that! This isn’t necessarily a perfect means of determining quality (although there may be a correlation), especially when comparing meat-based vs meatless, but it should be factored in when looking at the price because you will go through a bag much quicker. 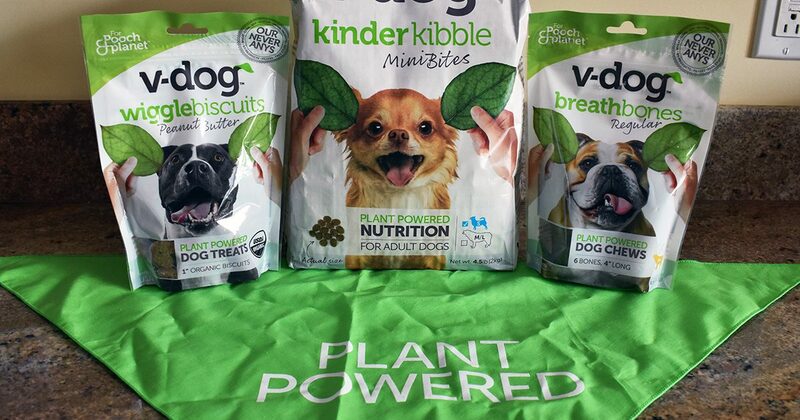 Apart from V-Dog’s two flagship kibble varieties, Kinder Kibble and Kinder Kibble Mini Bites (for small dogs), they also sell two types of treats. Sasha LOVES the peanut butter Wiggle Biscuits. They’re small for her size, but work perfect by adding a couple on top of her normal kibble. V-Dog also sells Breath Bones that are supposed to help clean their teeth and eliminate bad breath. I personally do not like these types of treats as they can quickly become a choking hazard and I’m skeptical of the claims. 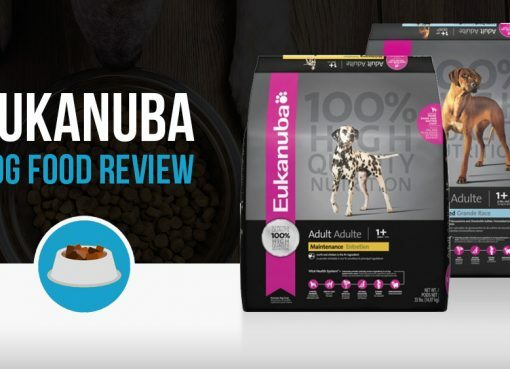 But after taking a look at the ingredients, I can say I would be MUCH more comfortable giving these to Sasha opposed to Greenies or Pedigree Dentastix. I’ll stick to brushing her teeth!